Klinck, Harold R.. "Cereal Crops". The Canadian Encyclopedia, 04 March 2015, Historica Canada. https://www.thecanadianencyclopedia.ca/en/article/cereal-crops. Accessed 22 April 2019. Cereal Crops are members of the grass family grown for their edible starchy seeds. The important cereal crops produced in Canada are wheat, barley, oats, rye and corn. Cereal Crops are members of the grass family grown for their edible starchy seeds. The important cereal crops produced in Canada are wheat, barley, oats, rye and corn; small hectarages of triticale and grain millets are grown. The cool, short growing seasons prevent commercial production of rice and grain sorghum. Cereal crops may be divided into spring-sown types, which complete their life cycle in one season (summer annuals), and fall-sown types, which require an overwintering period (winter annuals). Among the fall-sown types, winter rye is the most winter hardy, followed by winter triticale and winter wheat, then winter barley; winter oats are least hardy. No winter forms of grain millets or corn exist. Spring-sown cereals are grown in all provinces except Newfoundland. In 2006 approximately 98% of the 10.7 million ha of wheat, 90% of the 3.8 million ha of barley and 77% of the 1.9 million ha of oats produced were grown in the Prairie provinces. 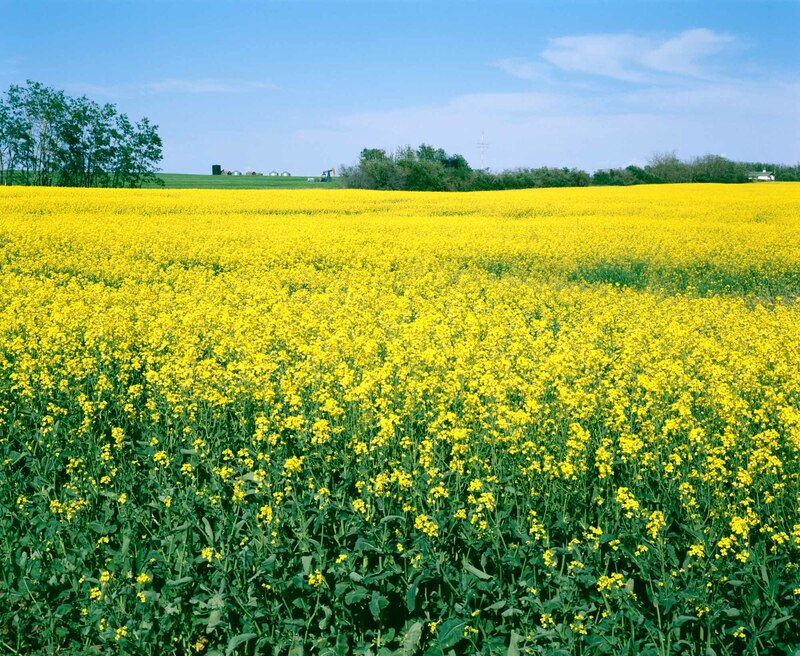 Saskatchewan is the leading producer of spring wheat; Alberta, of barley and oats. Significant quantities of oats are also produced in Ontario and Québec. In 2006, 244 900 ha of mixed grain (usually oats and barley grown together) are produced, mainly in Ontario. Production of spring rye is negligible. Of the nearly 1.4 million hectares of grain corn produced, about 70% is grown in southern Ontario; smaller hectarages, in Québec and Manitoba. Winter rye can be grown in many areas of Canada but, of the 175 900 ha, 66% is produced in Saskatchewan and Alberta. Significant winter-wheat production is limited to southern Ontario and southern Alberta. Small hectarages of winter triticale and winter barley are produced in southern Ontario, but winter conditions in Canada are too severe for winter oats. Wheat, oats, barley, rye and triticale are considered cool-season crops. Their spring forms are normally seeded between mid-Apr and mid-May, completing their life cycles in 80-100 days under Canadian conditions. The winter forms, seeded in Sept, overwinter as seedling plants and mature the following July. The other cereals are warm-season crops. Corn is seeded during the first 3 weeks of May and requires the full growing season to reach maturity. Grain millets may be seeded in May or June and mature in about 90 days. Rye, corn and sorghum are cross-pollinated species; the other cereal crops are self-pollinated. Grain corn is normally planted in rows 70-90 cm apart, with populations of 50 000-60 000 plants per hectare. Silage corn is more productive at slightly higher populations. Grain corn is harvested (with ear-pickers or picker-sheller combines) when the kernel moisture content is 25-30%. The stalks are left in the field and plowed under. Picked whole-ear corn may be stored outside in slatted cribs, which permit air circulation and low-energy, natural drying. Shelled corn may be dried artificially to 15% moisture content to permit inside storage in open containers, or it may be stored as high-moisture corn without drying, either in airtight containers or in open bins, following treatment with an organic acid to prevent spoilage. Grain yield in corn varies from 5 to 10 tonnes per hectare (t/ha), depending on the length of the growing season, temperature, moisture availability and soil fertility. Whole-plant silage corn yields range from 10 to over 20 t of dry matter per ha. Small grain cereals and millets are seeded in rows 15-20 cm apart, at rates of 60-120 kg of seed per hectare. Small grain cereals are normally harvested with combine threshers, with or without prior cutting and swathing. Moisture content at harvest is usually below 15%, allowing storage of the grain without artificial drying. The remaining straw may be left in the field and incorporated with the soil, or removed and used as feed or bedding for livestock. Grain yields from spring-sown small-grain cereals range from less than 2 t/ha, under dry prairie conditions, to over 4 t/ha, under ideal growing conditions in eastern Canada. Where they survive the winter, fall-sown cereals yield 15-25% more than spring-sown types. Straw yields range from 2 t/ha to 4 t/ha. 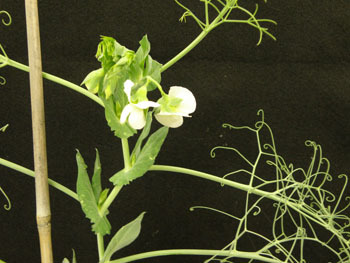 The use made of a cereal crop depends on the chemical composition and quality of its seeds. 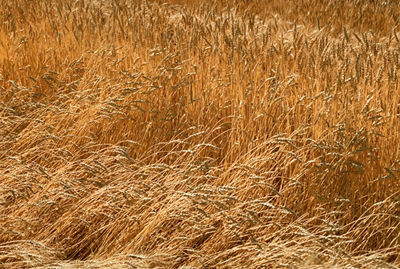 Over 70% of the spring-wheat crop is used to produce bread flour; most of it is exported for this purpose. Smaller quantities of spring (durum) wheats go into the manufacture of pasta products. Winter wheat is used extensively for cake and pastry flour. All wheats are used to some extent for livestock feed. About 8% of the barley produced in Canada is processed by the malting and brewing industries, domestic and foreign. Most of the remainder goes for livestock feed. Oats are grown primarily for livestock feed but small quantities are used in oatmeal and other food products. Rye and corn grains are also fed to livestock, although some are used in the distilling industry. Small amounts of corn are milled for starch, oil, syrup and other products. Triticale seed is used mainly for feeding livestock but small quantities are milled for flour. Grain millets are used in N America for animal feed and in the bird-seed industry. In some cases, the entire cereal plant (excluding roots) is used; for example, the entire oat plant, harvested well before the grain is ripe, may be used as hay or silage (feed preserved by the acid-forming action of bacteria); whole-plant corn is also preserved as silage. The total annual value of Canadian cereal crops is around $4 billion, about 0.6% of the Gross Domestic Product (see Food and Beverage Industry).